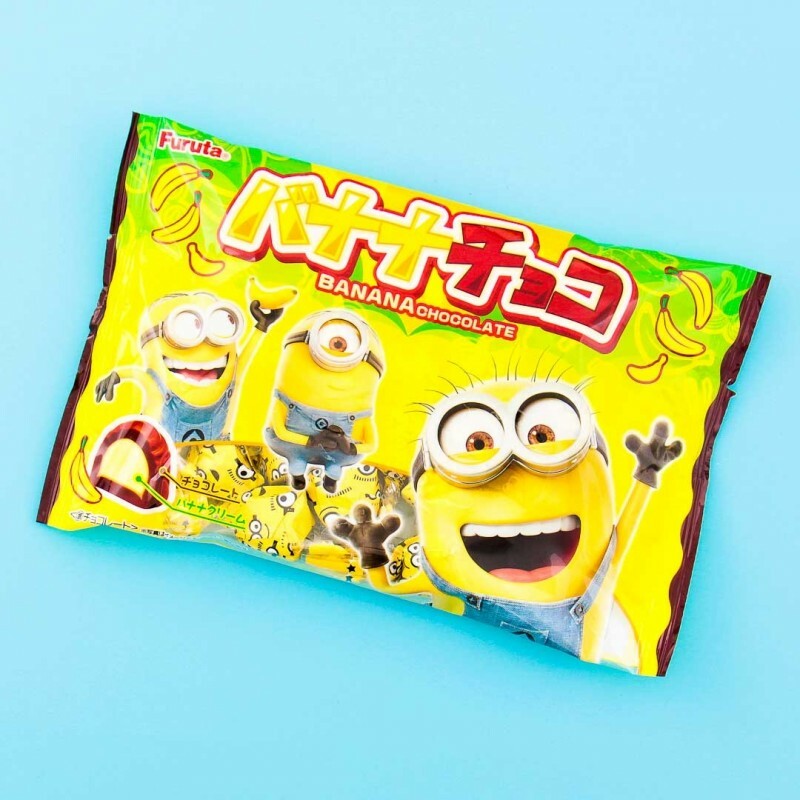 Something as crazy and funny as Minion characters themselves are the little banana chocolate treats by Furuta! 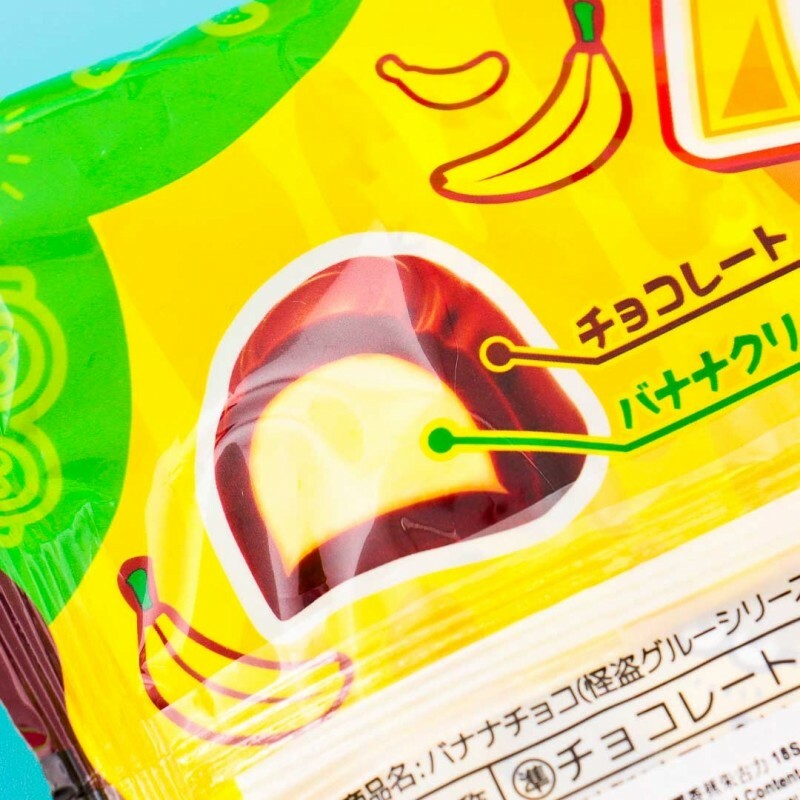 This big package includes 18 individually wrapped banana cream filled chocolates, making them perfect to be shared. 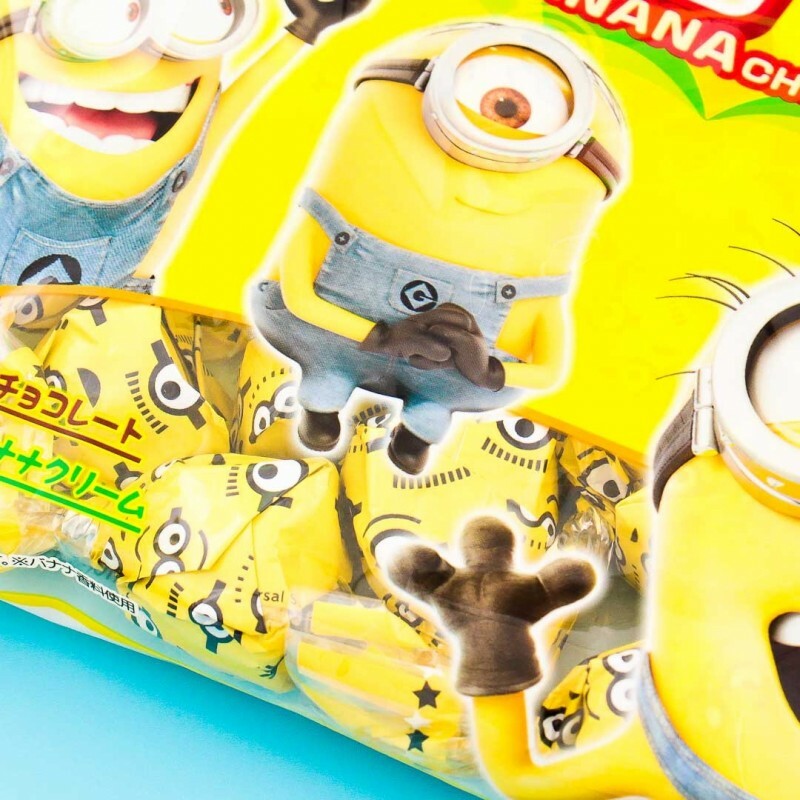 Each one of the yellow candy wraps has Minion's super funny face on them! These treats are a perfect companion for hot coffee or cocoa or enjoy them just as they are. 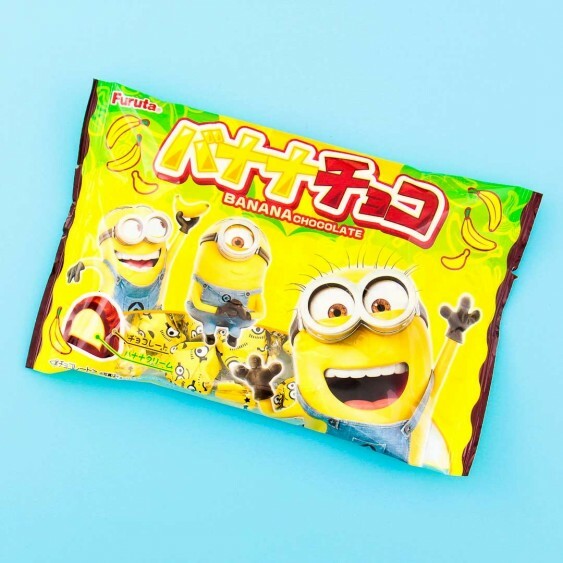 Take your time when enjoying their sweet taste! Yummy!